Back in June, 20th Century Fox announced their plans to remake the 1986 action classic Big Trouble in Little China, with Dwayne Johnson stepping in to star as Jack Burton, the beloved character originated by Kurt Russell. Original director John Carpenter revealed shortly after the Big Trouble in Little China remake was announced that he won't be involved in the project, but he doesn't have a problem with the remake, since he didn't write the original movie. Collider caught up with Kurt Russell, who is promoting his new Western Bone Tomahawk, in theaters this weekend, where he offered his thoughts about the remake. "I guess it's that time now. Hey, you know, nothing's sacred. Why not? Go get it, good luck. ... I don't know what their reasons are for remaking the movie, but I hope that they have the right reasons, and I hope that they do it well and good luck. What can I say? I don't know, I don't have thoughts other than that. Hang in there, good luck, go get em." Dwayne Johnson also revealed in June that he wants both Kurt Russell and John Carpenter to be involved in the remake somehow. The project doesn't have a director attached yet, but Zack Stentz and Ashley Miller (Power Rangers) are writing the script. Kurt Russell and Dwayne Johnson recently shared the screen together in the blockbuster Furious 7, but Kurt Russell revealed the actor hasn't reached out to him yet. "I always think it's interesting what's gonna be done. Dwayne Johnson I don't know what his take on it is gonna be, I don't know what they're gonna do. I always look at those movies when I see a remake and it's like, 'Ok... there's gotta be a reason.' So with Big Trouble in Little China, the sensibility of that movie was very different, no movie had been made like that, and virtually you flip-flopped the leading man and the psychic, you flip-flopped those roles, that had never been done. And a lot of the humor and the style of that movie was brand new for that time and was very much copied after that, so in its way Big Trouble is definitely a cult film." After Dwayne Johnson said that he wants to have John Carpenter involved in the remake, the director said he was "ambivalent" about the project, but added that he may sign on, depending on how much he is paid. He did state that he hasn't been officially contacted by Dwayne Johnson or anyone else involved in the remake, so we'll have to wait and see what happens. As for Kurt Russell, he is expected to reunite with Dwayne Johnson on Universal's Fast & Furious 8, which is slated for release in 2017. What do you think about these new details? 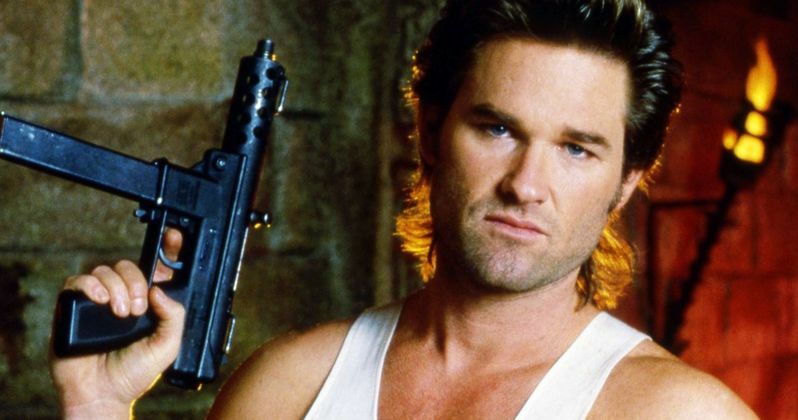 Do you think Kurt Russell should be involved in the Big Trouble in Little China remake?